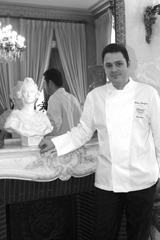 Fabrice Desvignes inherited his passion and gift for cuisine from his family. Owners of star-ranked restaurants, his grandparents handed down all the know-how so necessary to become a great chef. His career really kicked off when, still only 16, he worked as an assistant chef during the summer months. After a short period of professional education, he followed several training courses at famous restaurants such as Aux Armes de Champagne and Georges Blanc. A real enthusiast, he asked to do his military service in the kitchens of the joint chiefs of staff of the French Ministry of Defence. He then increased his experience in different prestigious establishments, especially in Switzerland, at the Hôtel Beau Rivage in Geneva and with Bernard Ravet. His main motivation for participating in the Bocuse d’Or was to face the critics and general public. However, to taste the fine dishes prepared by this young father, you must be elected as a Senator, as he has been chef of the kitchens of the Senate Presidency since 1999. 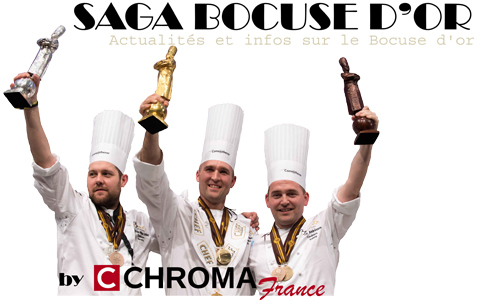 Partager la publication "Fabrice Desvignes, Bocuse d’or 2007 (en)"